The distal convoluted tubule (DCT) and collecting duct (CD) are the final two segments of the kidney nephron. They have an important role in the absorption of many ions, and in water reabsorption. The distal convoluted tubule can be subdivided into two distinct regions, the early and late sections, each with their own functions. This article will consider the functions of both sections of the distal convoluted tubule and that of the collecting duct. The role of the early DCT is the absorption of ions, including sodium, chloride and calcium. Movement of all of these ions is dependent on the function of the Na+/K+ ATPase transporter on the basolateral membrane of the cells. This excretes sodium ions into the extracellular fluid, and brings potassium ions into the cell. This channel reduces intracellular sodium levels, creating a gradient which favours movement of sodium into the cell via other channels. This process is primary active transport, as ATP is directly needed to set up the gradient. The sodium concentration gradient generated allows sodium to enter the cell from the lumen of the distal convoluted tubule, which occurs through the NCC symport, alongside chloride ions. The chloride ions then exit the cell through a chloride ion uniporter on the basolateral membrane into the extracellular fluid, preventing accumulation within the cell. Calcium absorption also utilizes the sodium gradient established from the Na+/K+ ATPase channel. On the basolateral membrane, there is also an NCX channel which is an antiporter responsible for transporting calcium ions out into the extracellular fluid, and sodium ions into the cell. The reduction in intracellular calcium creates a gradient which draws calcium ions from the lumen of the tubule into the cell, through a calcium ion uniporter. Since ATP is not directly required, this is secondary active transport. There are two main cell types in this region: principal cells and intercalated cells. Principal cells make up the majority of the tubular cells. They are mainly involved in the uptake of sodium ions and extrusion of potassium ions. 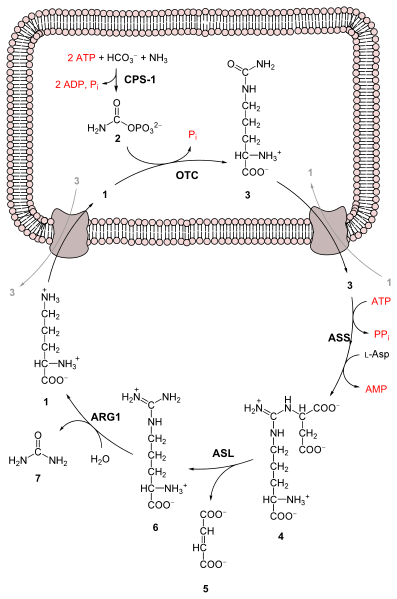 This exchange is again driven by a Na+/K+ ATPase on the basolateral membrane, which sets up a gradient for sodium to enter the cell through the ENaC channel. Sodium ions are positively charged, so as they are extruded an electrical gradient is formed. Additionally, potassium ions accumulate within the cell due to the Na+/K+-ATPase. Both of these factors promote secretion of potassium ions into the lumen of the tubule through a potassium uniporter. The intercalated cells play a role in acid-base control, by controlling the levels of hydrogen (H+) and bicarbonate ions (HCO­3–). These are both produced through the reaction of carbon dioxide (produced from metabolic processes within the cell) with water, by the action of carbonic anhydrase. The bicarbonate ions cross the basolateral membrane into the extracellular fluid through the anion exchanger channel, in exchange for chloride. The hydrogen ions are secreted into the lumen via a K+/H+ ATPase antiporter and H+-ATPase. Once in the lumen of the tubule, the hydrogen ions react with either phosphate (HPO42-) or ammonia (NH3). This prevents the ions from re-entering the cell, as both new compounds (NH4+ and H2PO4–) are charged. Hence they are not able to travel back across the membrane, and so are excreted. To prevent an accumulation of chloride ions and potassium ions within the cell, a K+/Cl– symporter on the basolateral membrane allows leakage of these ions back into the extracellular fluid. The main role of the collecting duct is the reabsorption of water, through the action of anti-diuretic hormone (ADH) and aquaporins. ADH is produced in the hypothalamus, and stored in the posterior pituitary gland until it is released. This hormone acts on the kidney tubules to increase the number of aquaporin 2 channels (water channels) in the apical membrane of the tubular cells in the collecting duct. Fig 1 – Diagram showing the stages through which ADH production and transport occurs. ADH binds to V2 receptors on the tubule cells, which activate adenylyl cyclase hence increasing production of cyclic AMP. Subsequently, vesicles containing the aquaporin 2 channels deposit their contents into the apical membrane of the tubular cells (the basolateral membrane always contains aquaporin 3 and 4 channels, so is always permeable). Increasing the number of channels increases the permeability of the cell, resulting in the ability to reabsorb more water from the filtrate and create smaller volumes of more concentrated urine. ADH also acts to increase urea reabsorption in the medullary collecting duct. The thick ascending limb of the nephron is impermeable to water, but permeable to urea. This means that the urea is able to pass from the interstitium back into the thick ascending limb down its concentration gradient (urea recycling). Whilst in the interstitium, urea acts as an effective osmole and hence allows greater volumes of water to be reabsorbed in the nephron. This syndrome is where excessive ADH is released, resulting in increased aquaporin expression in the collecting duct and excess water retention. The excessive dilution of the blood lowers the sodium concentration and causes hyponatraemia, presenting with symptoms such as nausea, vomiting and lethargy. Aldosterone secretion is also decreased in response to fluid retention, further reducing sodium uptake in the kidney and thus exacerbating the hyponatraemic symptoms. This form of diabetes also involves the classic presentation of polyuria (increased frequency of urination), and subsequent polydipsia (excessive thirst). It can be due to either insufficient release of ADH from the posterior pituitary (cranial diabetes insipidus), or an insufficient response of the cells in the collecting duct to ADH (nephrogenic diabetes insipidus). If the actions of ADH are ineffective, then less water will be reabsorbed from the filtrate, which means there will be a greater volume of filtrate, hence a greater volume of urine will be produced, causing the polyuria and polydipsia. Which ion channel generates an ion gradient for other channels to utilise? Which of these is a hormone you would expect to see an increase of in a dehydrated state? Which is the main way sodium can enter principal cells from the lumen? Which two of these are excreted forms of hydrogen ions by Intercalated Cells? Which of these is NOT a reason why urea aids reabsorption of water? Which of these is NOT a symptom of SIADH?